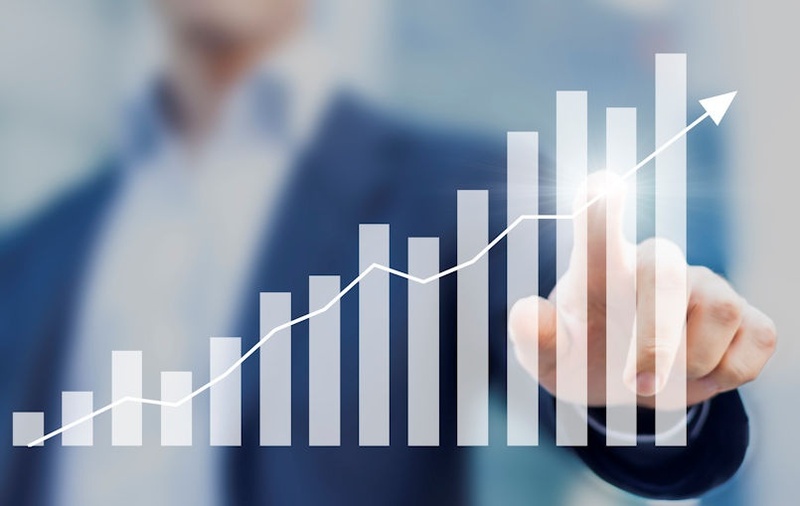 Power BI is an immensely powerful Business Intelligence ecosystem that enables users to quickly connect to, analyze, and visualize a wide range of data. 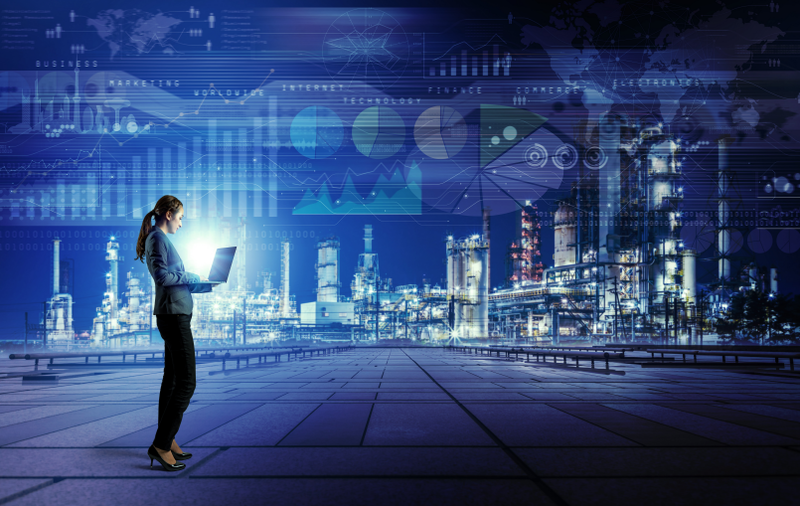 As businesses realize the value of Power BI’s capabilities and increasingly adopt and rely upon its services, they may begin to think about how they can upgrade their capability or improve functionality in Power BI. Microsoft recently announced the introduction of the Power BI Premium service, a capacity-based offering that gives organizations greater flexibility to allow users to access, collaborate upon, and distribute content. Let’s take a look at the features of this new offering and the instances in which it could be an appropriate upgrade for your business. If your firm is considering Power BI Premium, there is a good chance that there are some users in your organization already making use of Power BI Pro. The biggest difference between the two offerings is that Power BI Pro utilizes user-based licensing, while Power BI Premium uses capacity-based licensing. Simply stated, when you sign up for Power BI Pro, you pay per user, per month (currently retails at $9.99), while with Power BI Premium, you pay for a dedicated capacity for the month. This enables your business to publish reports broadly across an enterprise without having to worry about if individual recipients are licensed Power BI users. Let’s imagine you are part of an organization of 10,000 people. 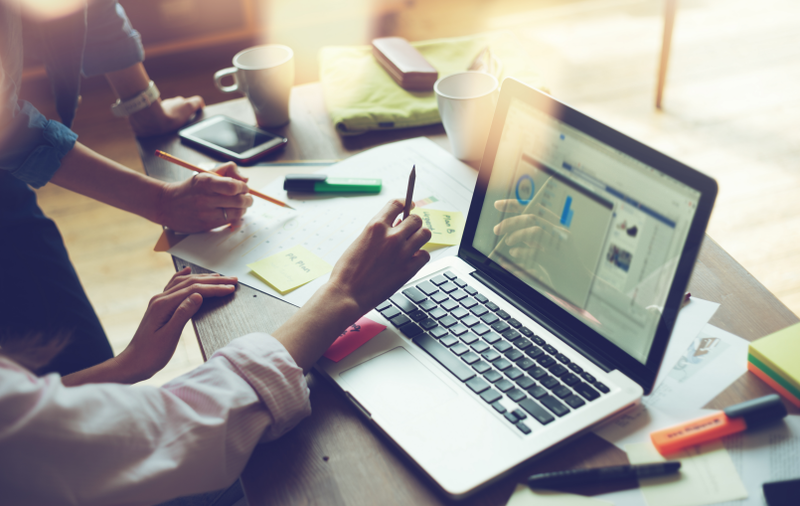 500 of your users will require authoring and collaboration, while another 5,000 users will consume BI content multiple times a week, and your remaining 4,500 users will only consume content occasionally. In this scenario, the 500 self-service BI authors could use Power BI Pro to collaborate and create reports, while Power BI Premium can be used to distribute this content to the other 9,500 individuals in your organization who only need to consume this information. The total cost of this solution is $29,970 per month. When comparing this to the cost of paying for 5,500 individual Pro licenses at $54,945 per month, or even 10,000 Pro licenses at $99,900 per month, you can see the cost savings associated with the Premium service. 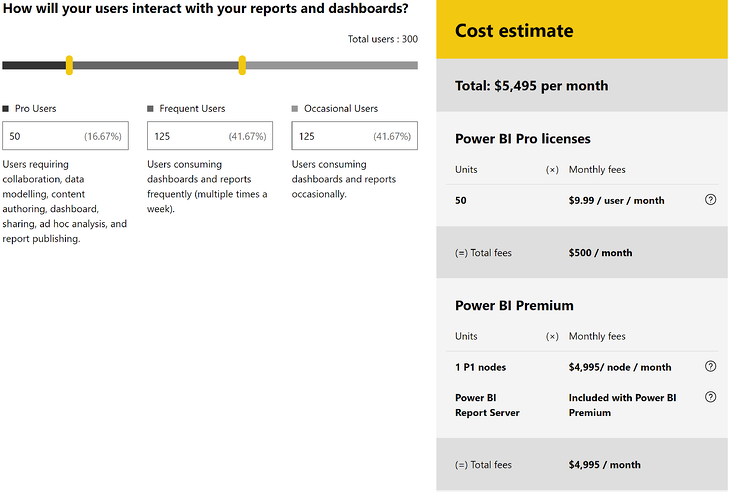 Conversely, if you are part of a small organization of 300 people with a combination of 50 users who require authoring and collaboration, 125 users who consume BI content multiple times a week, and an additional 125 users who consume content occasionally, the total cost of a Power BI Premium solution would be $5,495 per month. 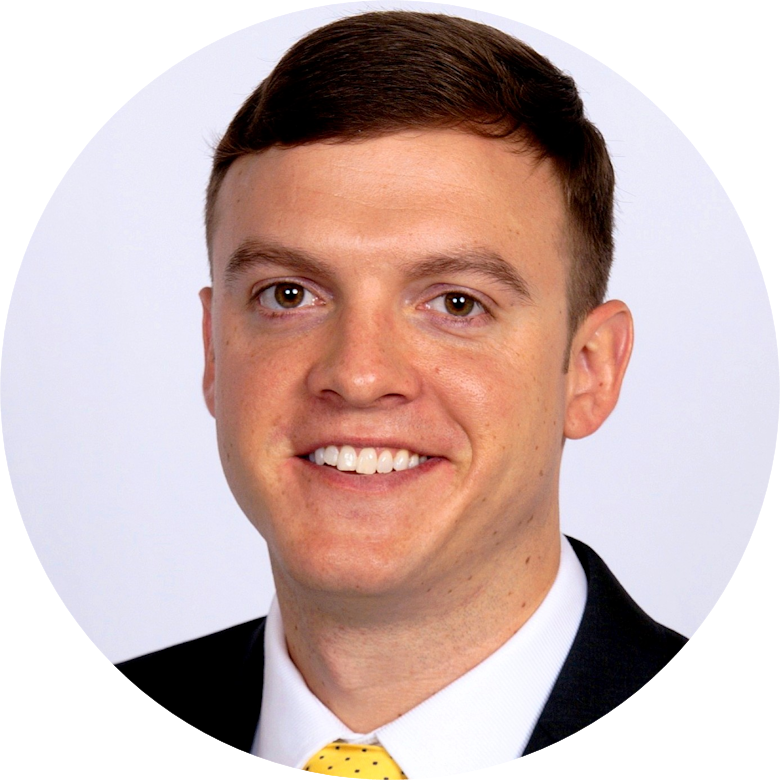 Comparing this to the cost of paying for 175 individual Pro licenses at $1,748 per month or 300 Pro licenses at $2,997 per month, it might not make sense for your organization to invest in Premium. 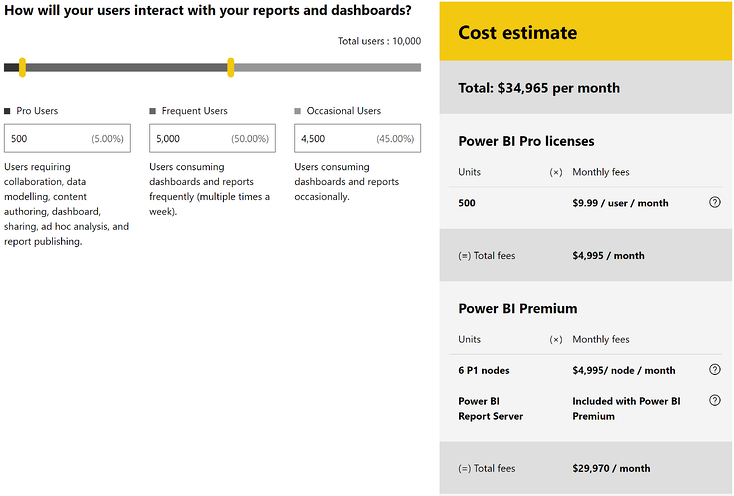 To see how either of these scenarios apply to your business, you can experiment with the Power BI Premium calculator to forecast various costs and performance prices. Power BI Premium provides dedicated resources for running Power BI offerings at your organization, giving you dependable performance and larger data volumes. 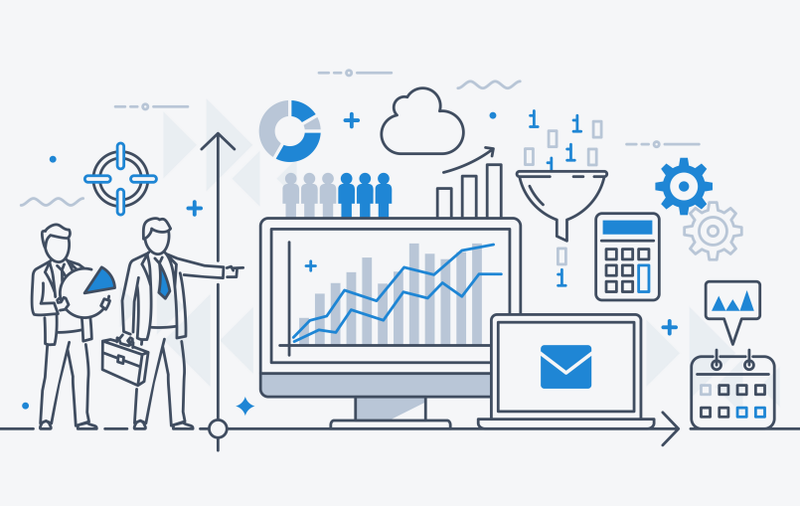 With capacity-based licensing, Premium enables the widespread distribution of content without requiring your organization to purchase per-user licenses for anyone who consumes BI content. If you have further questions about Power BI offerings and what they can do for your business, contact BlueGranite.